the world is mine: i will be with you.. This is not a Digi adv. 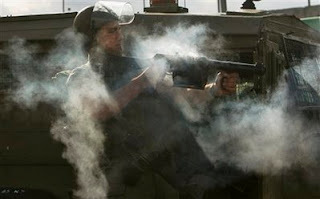 An Israeli border police officer fires tear gas canister at Palestinian stone throwers during clashes erupted following a demonstration against the Israeli missiles strike on Gaza, at the Kalandia checkpoint between the West Bank city of Ramallah and Jerusalem, Monday, Dec. 29, 2008. Israel's overwhelming air campaign against the Gaza Strip entered its third day Monday, as missiles struck targets and wreaked unprecedented destruction in Gaza, reducing buildings to rubble, and the death toll continues . Bahrainis burn U.S. flags and raise photographs of Israeli attacks on the Gaza Strip that have killed more than 300 people and injured more than 1,400 so far during an anti-Israel demonstration Monday, Dec. 29, 2008, in Manama, Bahrain. 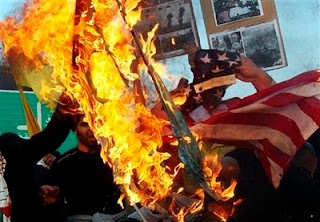 Hundreds of people participated in the demonstration, shouting 'Death to the agents (of Israel and the United States) — the Arab governments' and burning Israeli flags. 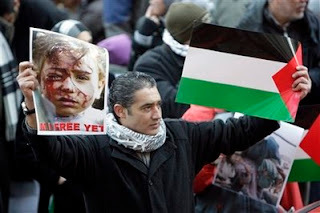 in Berlin December 29, 2008, against Israeli air strikes in the Gaza Strip. Several hundred people took part in the march, police said. The placard reads 'Israel must complete the Gaza blockade'. 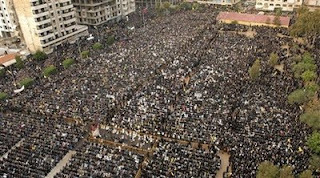 Tens of thousands of Lebanese Hezbollah supporters protest in the southern suburb of Dahiyeh, Lebanon, Monday, Dec. 29, 2008. People stood under pouring rain Monday to protest Israel's air assault on the Gaza Strip, now in it's third day. 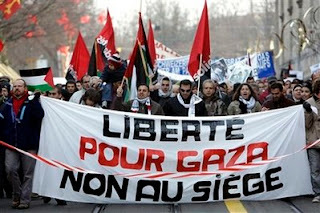 Palestinians from Switzerland chant slogans and carry banners reading: 'Freedom for Gaza. No to the siege' during a protest against Israel's air assault on Hamas targets in the Gaza Strip, in Geneva, Switzerland, Monday, Dec 29, 2008. 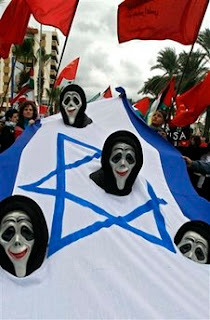 The demonstrators protest against the Israeli reaction on Gaza which has killed and wounded hundreds of Palestinians. 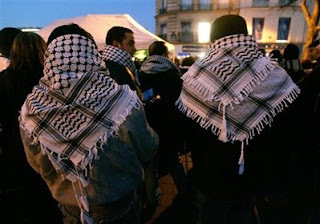 People wear the traditional Palestinian head scarf during a gathering to protest the Israeli air strikes in the Gaza Strip, in Paris, Monday, Dec. 29, 2008. Today 30122008 infront of US Embassy,gather at Menara Tabung Haji at time 1130.